In the area around Ayli Valley, Leonard Duke has been seizing all the cattle ranching land, bullying and stealing to get what he wants. Owen Lismore and his brother Oliver were left Ayli after their father died in a riding accident – a suspicious death, as he was a gifted rider. Oliver has fallen in with a bad crowd, and when Owen confronts and humiliates him and his gunslinger sidekick, he decides to have his brother killed in revenge. Owen enters a boxing tournament not knowing that it has been fixed so that he won’t leave the ring alive. When he makes a narrow escape, the beautiful Rosalind Pond and feisty Celia Duke help conceal him from the law. Duke bans Celia from seeing Rosalind, causing the women to run away together, disguised as husband and wife. They quickly fall into the clutches of a dangerous group of outcasts, who take them prisoner. Owen, hearing of Rosalind’s abduction, rides to attempt her rescue, not knowing that his brother is now under orders from the crooked Duke and in hot pursuit. The lives of everyone Owen cares about hang in the balance as a bloody showdown approaches. 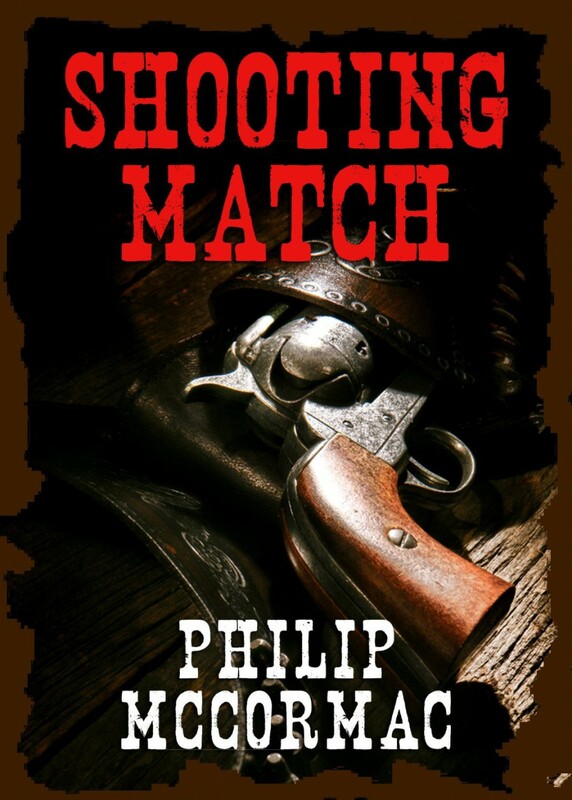 ‘Shooting Match’ is a thrilling Western story of two brothers’ quarrel and its deadly consequences. ‘A classic story of adventure and courage in the old West.’ – Tom Kasey, best-selling author of ‘Trade Off’. “Philip McCormac writes in the best tradition of Zane Grey and Jack Shaefer.” Richard Foreman, author of Sword of Empire.